The I-9 form’s wording is somewhat confusing, leading some people to believe that the I-9 form requires motorization. Since there’s no notarial certificate attached, however, the I-9 form does not require notarization. In fact, any notary public who stamps his or her seal on the form place themselves at risk for losing their position as a state-appointed notary public. This is why it’s important for public notaries to familiarize themselves with any new documents before servicing them. Many employers hire notaries to complete Section 2 of the I-9 form on their behalf, working as an Authorized Representative. If the employer is unable to meet with the employee to execute the form, he or she may hire a notary public to complete the service. The notary will complete the required information in Section 2, including the employer’s review/verification and certification. Since the completion of an I-9 form is not technically considered a notarial service, a notary public has the option to refuse the service. Normally, a notary public is only allowed to refuse a service under certain conditions, such as an absent signer, incomplete document, direction relation to the signer, lack of a prepared notary certificate, coercion, etc. However, completing an I-9 form is not a notarial service; therefore, a notary public can willingly refuse the job without any repercussions. It’s important to note that some states, such as Texas for instance, prohibit notaries from completing I-9 forms on behalf of employers. 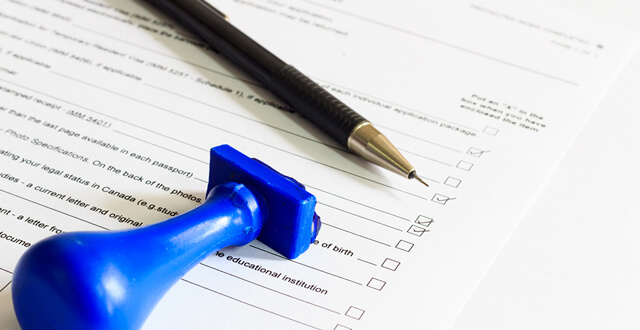 Notaries must educate and familiarize themselves with their respective state’s laws governing the completion of I-9 forms before agreeing to the service. This information can typically be found through the Secretary of State’s office. The I-9 form is broken down in three parts: Section 1, which is reserved for the employee, and Section 2 & 3, which are reserved for the employer. If a notary public is working as an Authorized Representative on behalf of the employer, he or she should only complete Section 2. Notaries should carefully examine the employee’s identification card and work eligibility documents when completing Section 2 of the I-9 form. While it’s technically not a notarial service, it should still be treated in the same professional manner.